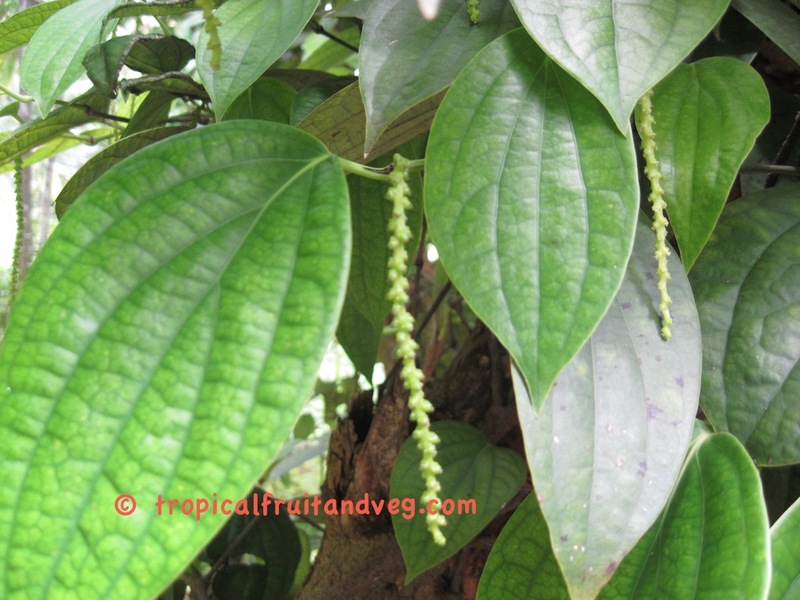 The pepper plant is a perennial woody vine that can grow up to 4 metres (13 ft) in height on supporting trees, poles or trellises. It is a spreading vine, rooting readily where trailing stems touch the ground. The leaves are alternate, 5 to 10 cm long and 3 to 6 cm across. The flowers are small, produced on pendulous spikes 4 to 8 cm long at the leaf nodes, the spikes lengthening up to 7 to 15 cm as the fruit matures. 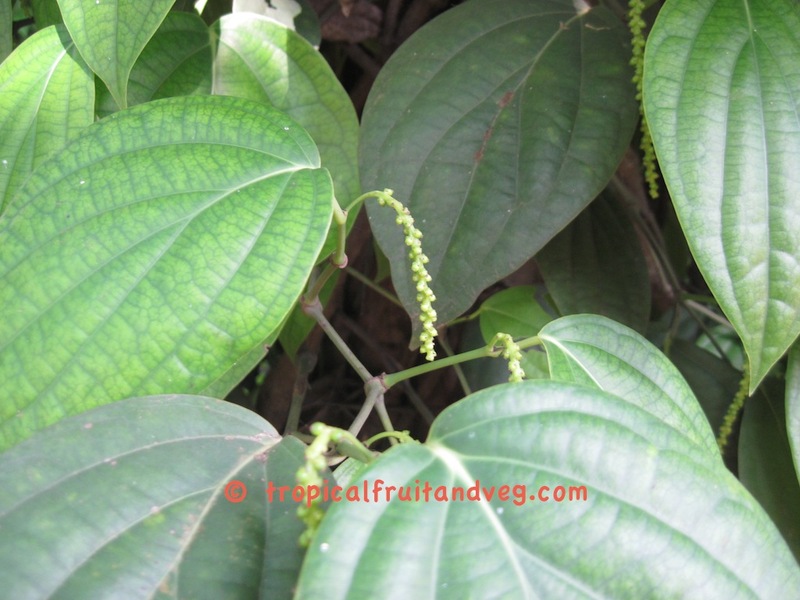 The fruit of the plant is called a drupe which are dried to obtain the peppercorns. The drupes are green but turn red as they ripen and reduce their pungency. 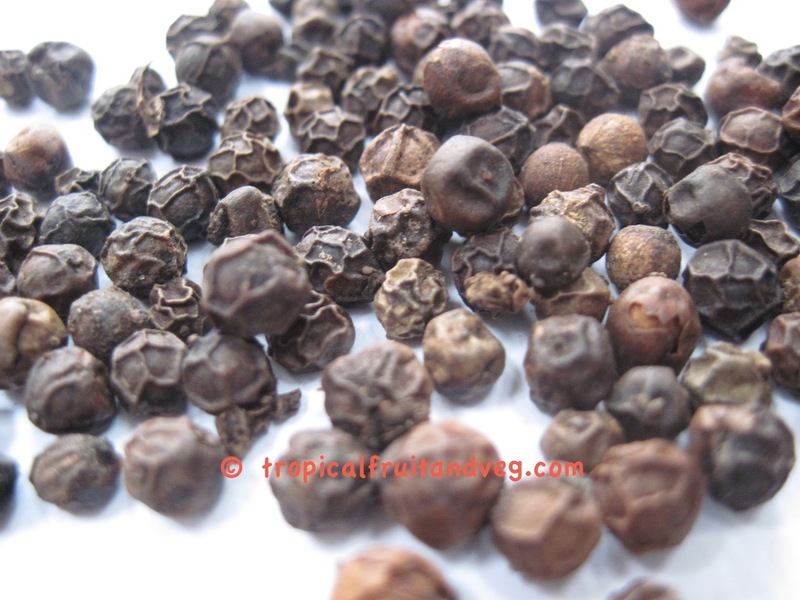 Black pepper is produced from the unripe green drupes which are cleaned and dried. White pepper is produced from the ripe red berries which have the outer layer removed and so only include the seed. Green pepper is also produced from the unripe green drupes but are first treated so they do not lose their colour when dried. Pepper is one of the most widely traded spice in the world and has been used as flavouring in cooking for thousands of years. Pepper gets its hot flavour from the chemical compound peperine which is found in both the outer fruit and the seed itself. Pepper can lose its flavour when exposed to air and light so it should be stored in non-transparent airtight containers. 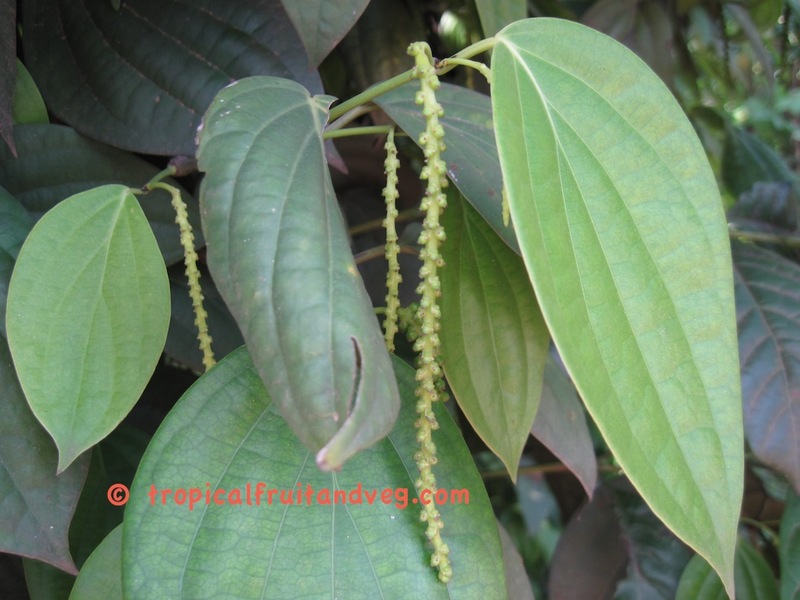 Pepper is also used in Aruvedic medicine. 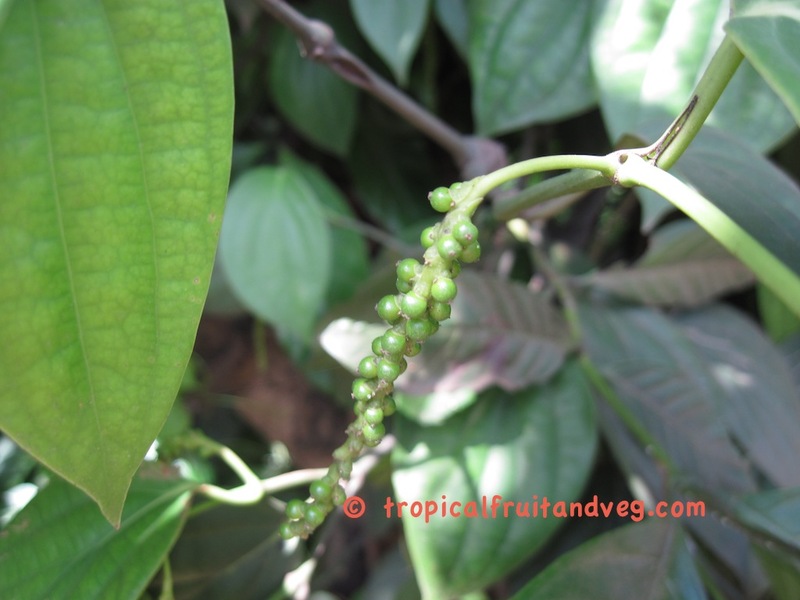 Pepper is tropical and it requires a warm humid climate. The plant tolerates a minimum temperature of 10 �C and maximum of 40 �C, the optimum being 20-30 �C. It can be grown from sea level up to an altitude of 1200 m but lower altitude is preferable. Pepper prefers a light porous, well-drained soil rich in organic matter. Water stagnation in the soil, even for a very short period, is fatal for the plant. Soil pH should ideally be between 4.5 and 6.5.
Pepper is propagated vegetatively from cuttings. The cuttings are rooted before being planted in the final growing area.